According to the SEC, if you have a website, you have a "great deal of background" in technology! That is, if you previously worked at Goldman Sachs! So ex Goldman Sachs employee, Adam Storch, is now the new COO of the SEC! Standing over 6'2.5" tall, Clinton was one of the tallest U.S. Presidents in the nation's history. Bill Clinton was the smoothest talking president in the history of the United States of America. He plays a mean saxophone and hangs out with Arsenio. Everything was better when President Clinton was in office - he presided over the longest period of peace-time economic expansion in American history, which included a balanced budget and a federal surplus. Although he was impeached by the U.S. House for perjury and obstruction of justice, he was subsequently acquitted by the United States Senate and completed his term. You heard it right, he was acquitted, that pretty much means that he's not guilty! Clinton left office with a 65% approval rating, the highest end-of-presidency rating of any President that came into office after World War II. 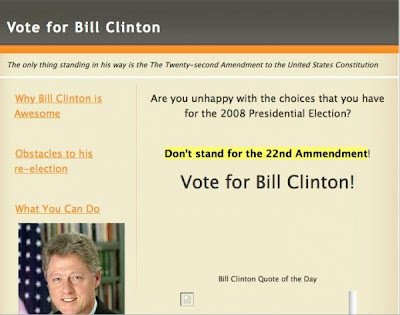 The Clinton-Gore administration launched the first official White House website on 21 October 1994. Without this website, the internet would have faltered. In 1998, Clinton was awarded the First Class with Collar Chain of the Order of the White Lion from the President of the Czech Republic. On October 17, 2002, Clinton became the first white person to be inducted into the Arkansas Black Hall of Fame. In Kosovo, a five-story picture of the former president was permanently engraved into the side of the tallest building in the province as a token of gratitude for Clinton's support during the crisis in Kosovo. looks like C's earnings disappointed...what can make it go to 7 by year end? is it still worth the hold? thanks for tell me not to chase MNI....do you think MNI is worth a shot at $3? I bet you have a smile on your face with those warrants. It went up faster than I thought, but in my excitement this week I completely forgot to study for my midterm that's in 90mins, oh well you can't win them all! do the warrants trade like stocks? so if it is now priced at $2 what does it mean? is it still worth jumping in? 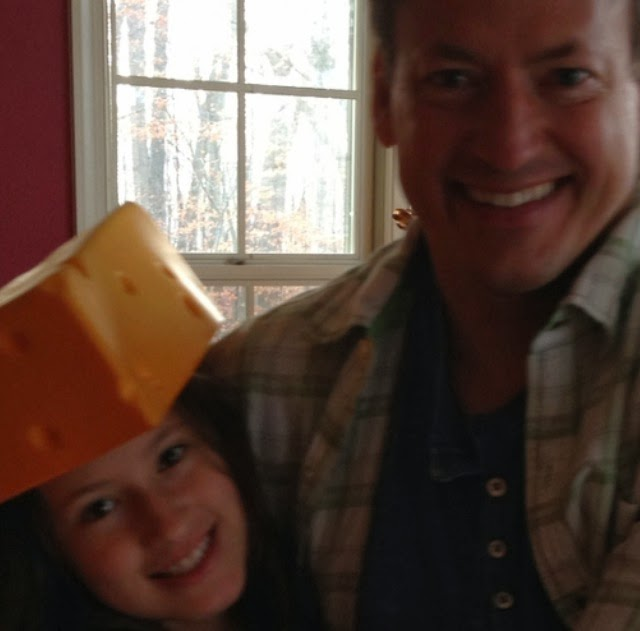 You gave me the call!!!!!!! Hey! 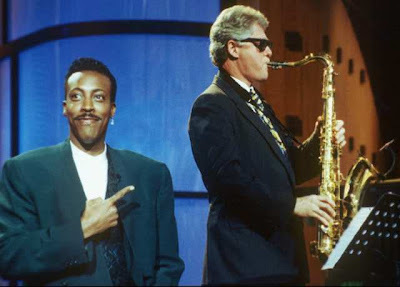 Bill with Arsenio Hall! Great pic, I've been searching for documents with his bio, I've found this site called: Yellow documents, they've a lot of info related.